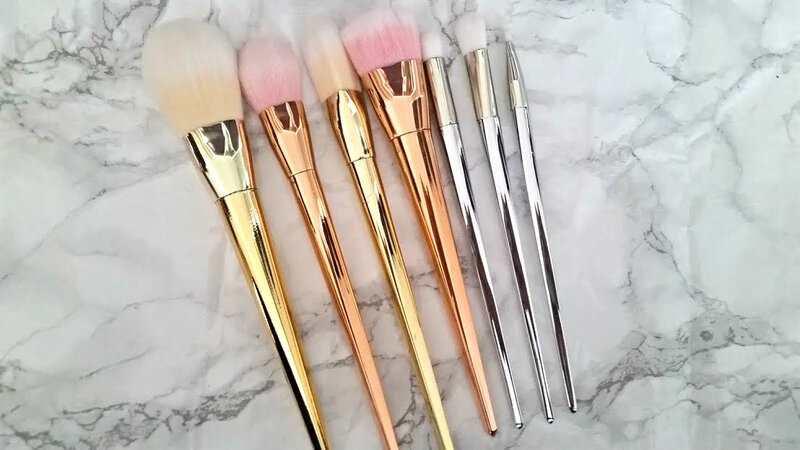 Finding Ebay dupes is one of my skills if I say so myself, you can find other dupes that I have found in a previous post from watches to other brushes. When Real Techniques first launched the Bold Metals collection I feel head over heels in love for it all, I had my eye on the contour brush in particular. 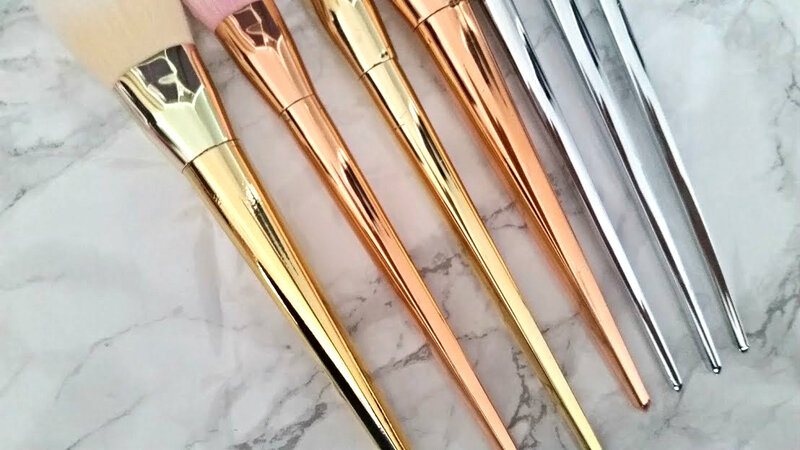 But, the price of these luxury brushes steeps to as high as £25 - too pricey for my liking. I couldn't resist buying this 7 piece set from Ebay for only £4.99, I opted for the mix set to replicate the originals as much as possible but you can also buy all the brushes in rose gold, silver and gold. Unforntualy, I do not have the 'real' brushes to compare but from what I can tell on pictures these are near enough identical. The only thing that I can spot is missing is the number of each brush/logo on the front. 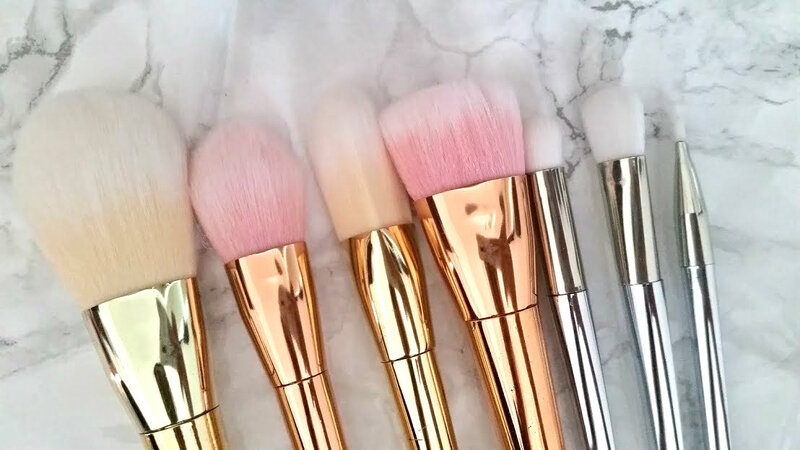 These brushes are really soft and seem to be doing the job amazingly well, I am loving the contour and oval shadow brush at the moment to use on a daily basis. Since owning them I have washed them twice and not had a problem with the bristles falling out, whereas the MAC dupes (see post here) are now dying on me. I mean look at them. Can you really go wrong for less than £5? You could buy these over and over again and still have saved more money than buying the whole of the actual collection. They do the job, aren't breaking the bank and look just as Instagram worthy as the real ones. In order from Left to Right, based on pictures on the Real Techniques Website it is the full set. We have the 100 Arched Powder Brush, 300 Tapered Brush, 101 Triangle Foundation Brush, 301 Contour Brush, 201 Pointed Crease Brush, 200 Oval Shadow Brush and 202 Angled Liner Brush. I'm not saying I have anything against the actual bold metal brushes because they will be of better quality than these, when I have the funds I do hope to buy them and see the hype over them.